A cloak of invisibility: It’s a dream come true for almost anyone. I could spend an afternoon thinking about the awesome things that I’d do with one. I’d go to places I wouldn’t want to be seen at, whether due to my celebrity status or some other reason (who really wants to be seen at Starbucks? ), or I’d drive the car so people would think it was driving itself. I’m sure there’s a hundred other little things I’d brainstorm in that afternoon, but let’s snap back to reality for a second. As reported by TechNewsWorld, The University of Texas in Austin have actually succeeded in hiding an object; though it has some limitations. 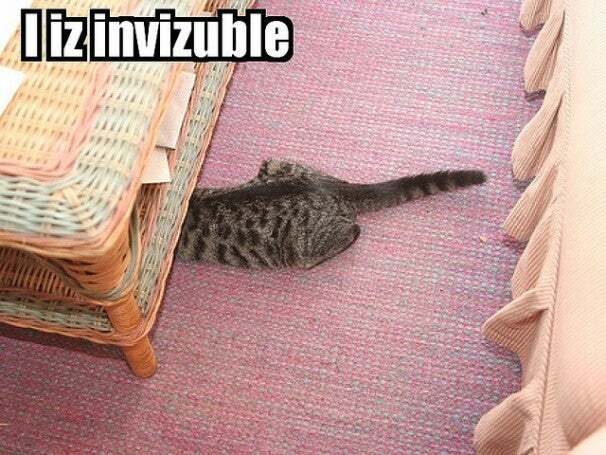 First of all, it’s not invisibility in the classic sense of the word. The researchers managed to hide an 18cm tube from microwaves inside a covering of "plasmonic" metamaterial (we won't even attempt to describe what "plasmonic" means). This metamaterial is an artificial structure with a refractive index that’s negative, meaning they bend or refract light in unnatural ways. This sort of thing doesn’t happen in nature, so we have science to thank for the quantum physics involved. Since the light gets scattered all over the place, it doesn’t make it to your eyes and thusly you don’t see whatever is being hidden. Cool, huh? The only thing is, so far it only works with particular microwaves, the 3.1GHz wavelength range, so don’t expect to go pick up a cloak of invisibility at Target anytime soon. The object was tuned to the frequency of the wave as well, meaning that right now the technology couldn’t be used to make any old object invisible; only in specific experiments with careful planning and circumstances does this fly. It’s interesting to note that the largest bit of research funding comes from defense agencies for programs such as this, for the practical applications this technology could provide. Cloaking aircraft or machines such as tanks would be a pretty awesome application of invisibility, not to mention obscuring bases and lookout posts from enemy eyes in the air. Whatever the use, the technology is moving forward at a rapid pace; the last time we covered an invisible cloak here at GeekTech, you could only be invisible with a giant piece of quartz over your head. I’m not sure about you, but I think science has come a long way from IRL Sims as a cloaking method. Today, microwaves. Tomorrow? Who knows? We’ll let you know as soon as we find out. Contrary to posturing, Jason (@kennjason) is no celebrity; he’d use an invisibility cloak as a prop in a D&D game, or just to add ambiance to a couch-side game of Skyrim. We can’t see him doing much else with one. See what we did, there?